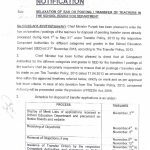 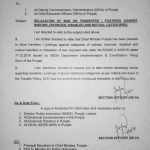 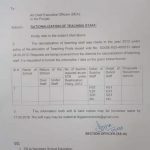 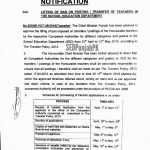 Govt of the Punjab School Education Department has imposed ban with immediate effect on transfer of teaching staff vide Notification No. 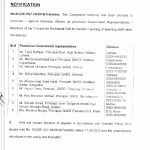 SO (SE-IV) 2-34/2009 (TR) dated 11th January 2013. 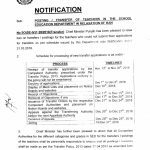 This ban will remain valid till the completion of conducting and paper marking of Grade V & Grade VIII Examination 2013 under the Punjab Education Commission, Lahore.